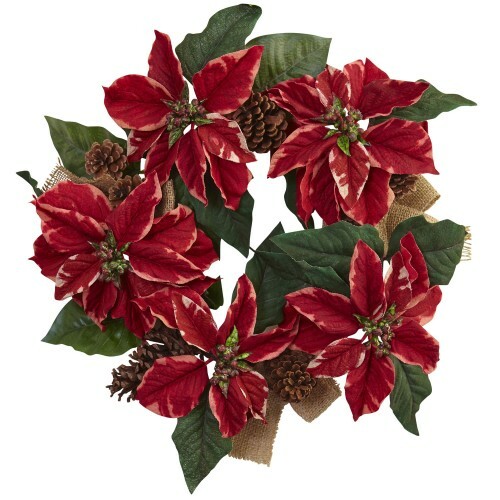 Nothing says “winter holidays” quite like luscious poinsettia. The greens and reds simply put you in the perfect mood. This lovely wreath combines that classic look with lovely faux pinecones, and wraps it up with several burlap bows for a true “Country holiday” look. Since it’s artificial, there’s no drying out, and those red blooms will stay luscious for years. Makes a fun gift as well.